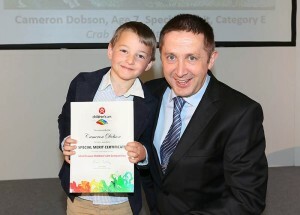 A Tyrone student has been presented with a top award in this year’s 62nd Texaco Children¹s Art Competition. 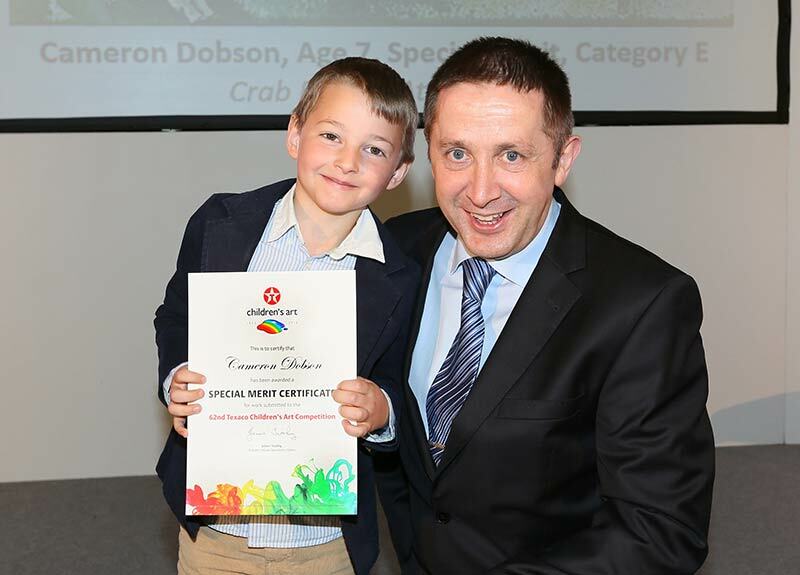 Pictured is Cameron Dobson (7), a pupil at The Howard Primary, Moygashel, who won a Special Merit Award in the competition. Presenting him with the award is James Twohig, Director Ireland Operations of Valero.